Cross Stitch Classic is the best needlepoint & needlework & coloring game for both adults and kids where you can work on hundreds of beautiful cross stitch patterns and photos! 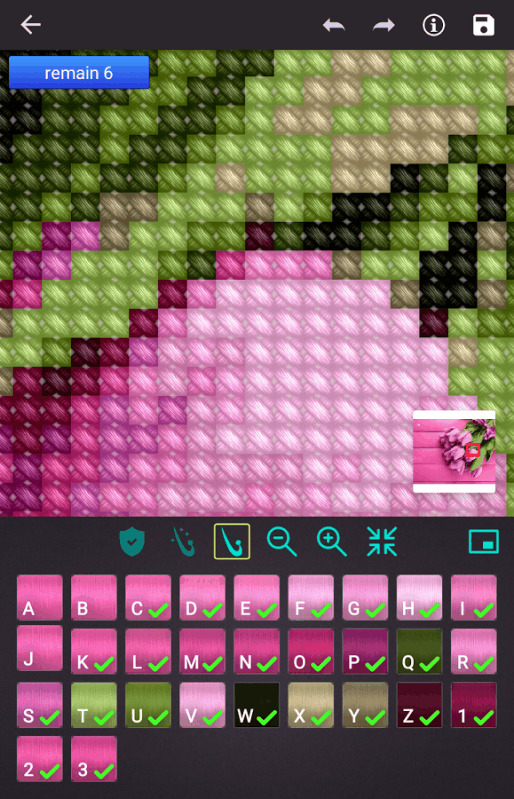 Just select the color and tap to stitch it! You can upload your own photos and stitch patterns, too. It is simple, relaxing and fun! 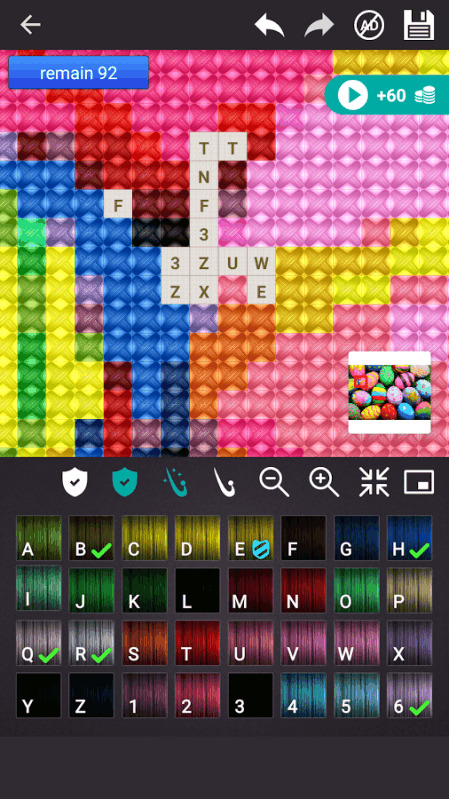 If you enjoy coloring and also embroidery, Cross Stitch is the best relaxing game and coloring & stitching app that combines both hobbies Knitting & Stitching is now more enjoyable than ever! This Stitching game is not only a Cross Stitch game, it is also a coloring game for adults and kids, too. If you love knitting you will also enjoy Cross Stitch Patterns, too! 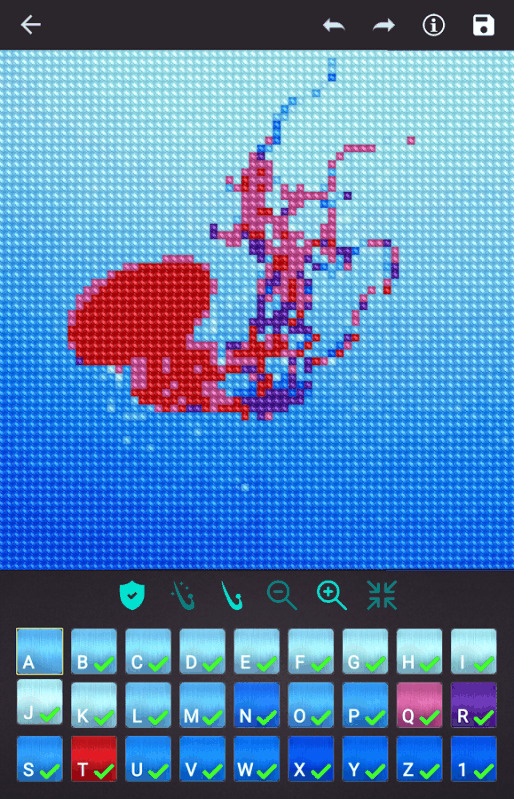 You can also play this relaxing and instructive cross stitch game with your kids. 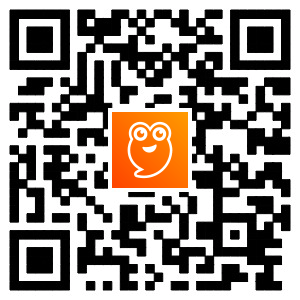 This coloring game for kids and adults will help you and your child to develop imagination. 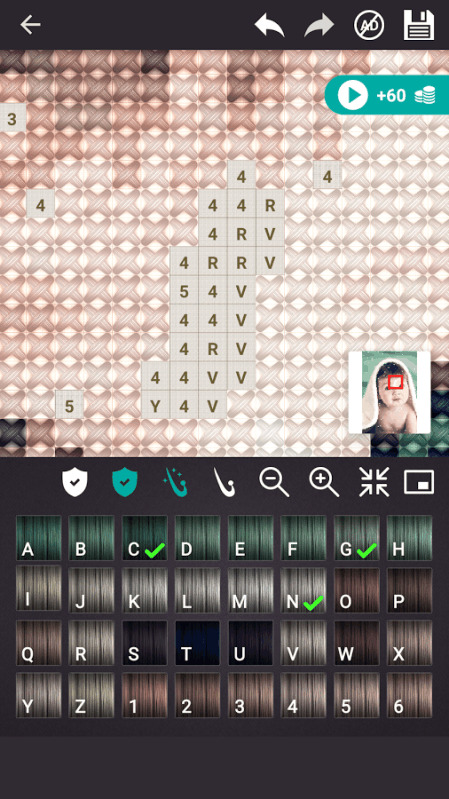 You will get the feeling of actual cross stitching with this relaxing game. A huge collection of beautiful Cross Stitch patterns to play. Endless cross stitch options with a built-in importing tool. - Pick a photo - Pinch to zoom in - Choose a thread and tap to start stitching - Choose the unpick tool to unravel faulty stitches - Use your two fingers to move on the canvas - With the 'protect tool', you don't have to worry about making mistakes, just fill them in! - Complete canvases and earn coins to buy more tools and photos, patterns! 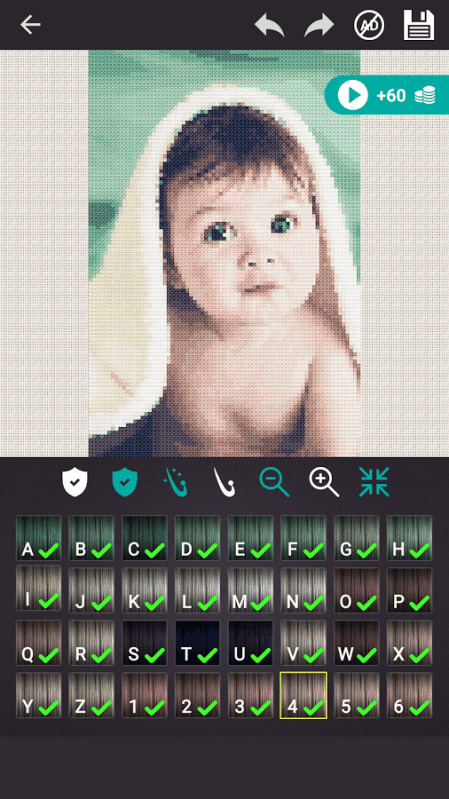 - Import and create unique Cross Stitching photos of your loved ones or patterns you desire! You can choose photos among many Cross Stitching categories: - Animals - Flowers - Food - Pets - Arts - Babies - Landscape - More... Or you can import your own images and cross stitch them! With Cross Stitch Classic by Lyrebird Studio, you can stitch your canvas whenever you want, wherever you want! Please share your stitches and artwork with us and the other Cross Stitch Funs on Instagram, Twitter of Facebook with the #lyrebirdstitch hashtag!